(KONA, HI) Hawaiian Pop star ANUHEA, a young, iconic singer/songwriter/performer en route to meteoric music industry fame has also become one of Hawaii’s most popular exports. 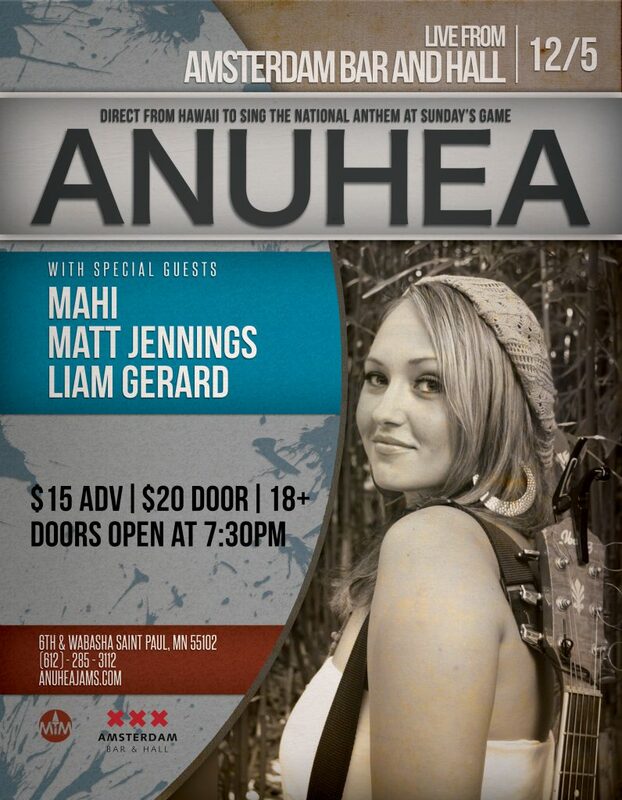 ANUHEA has enjoyed several iTunes & Radio Hit singles including “SIMPLE LOVE SONG” and “Higher Than The Clouds”. A major presence on the Islands with multiple hit songs being played in heavy rotation hourly, along with favorable critical comparison to fellow islanders Jack Johnson and Bruno Mars, ANUHEA also enjoys the distinction of being specifically requested to perform by his Holiness, the Dalai Lama. Her video for Simple Love Song has Millions of Views and her video for Higher Than The Clouds is well over a million views, ANUHEA’S total YouTube Views are over 7 Million. ANUHEA is drawing increasingly large crowds and selling out most venues across the USA, and her fan base continues to multiply, drawn by an organic, pop-driven sweetness and the unmistakable Hawaiian influence complete with ukulele. AHUHEA is the most played female artist on the radio in Hawaii and arguably the most famous female artist to ever come from the state of Hawaii, speaks fluent Hawaiian and is involved with many charitable organizations throughout the Hawaiian Islands and Pacific including Mana Maoli and Jack Johnson’s Kokua Foundation.